Third Graders at The Wilson School "Level Up"
Students at The Wilson School in Clayton, Missouri, test the surface tension and elasticity of water during one experiment in their Level Up Village Global Scientists course. This article was originally posted on The Wilson School news page on 2.8.17. The students embarked on this global research project to find out more about water usage and conservation. 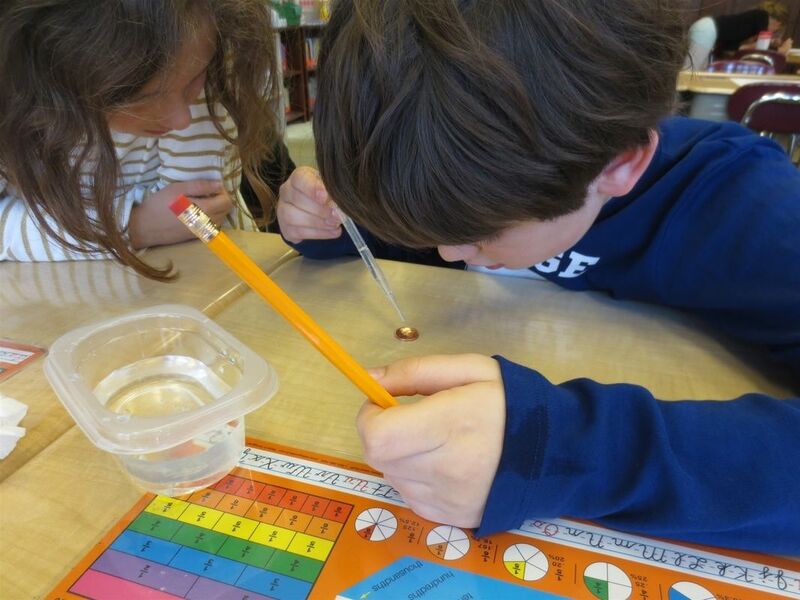 Students learned about water, how it can be polluted, cleaned, tested, stored and understood at an atomic level. Focusing on helping the environment, the students brainstormed creative and interesting ways to lessen their usage and conserve. While the Level Up science curriculum remains strong, the partnership with Nicaraguan students has proven to be a true highlight. 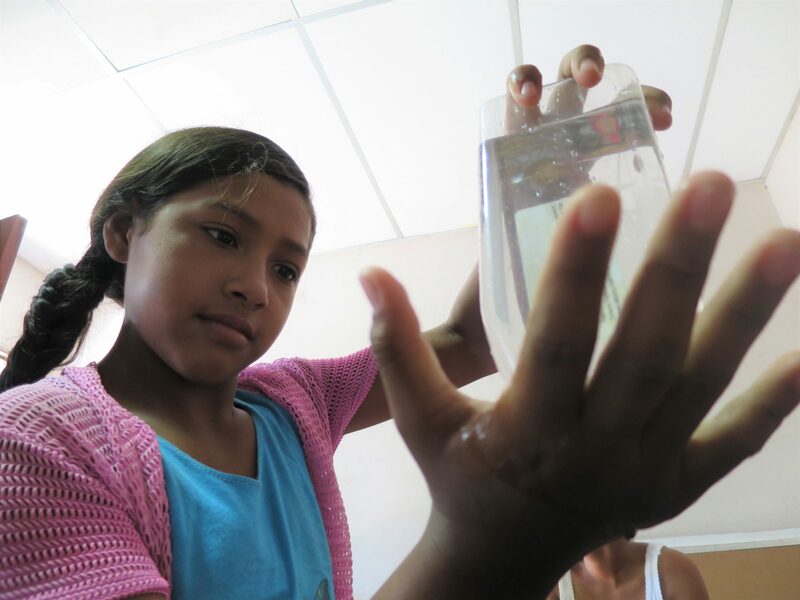 A girl at NicaPhoto in Nagarote, Nicaragua, conducts an experiment in Global Scientists. Several times throughout the course, Wilson School students exchanged video messages with their Nicaraguan partners. In learning about Nicaraguan culture, students were shocked to learn that some of their counterparts lack flushing toilets. This discovery allowed students to become more environmentally conscious and globally aware. Video messages are most exciting to the students. “We really enjoy sending videos back and forth with our partners in Nicaragua. The program translates them for us, but we get to hear the Spanish, too,” says Rafe. The partners get to know one another by asking questions and communicating about their daily lives. The experience prompted the students to learn rudimentary Spanish, making sure to pronounce their partners names correctly. Creating the videos also provide opportunities to practice communication and technology skills. The Wilson School: The Wilson School is an independent, coeducational, preparatory school for students 3-years-old through 6th grade. Located in Clayton, Missouri — a quiet, tree-lined, residential suburb of St. Louis, Missouri. This sounds like an absolutely phonomenal project /study experience!! !